 And then there’s the crème de la crème of the Fest’s informal Fab Four debate societies: who was the Fifth Beatle anyway? The Fifth Beatle, huh? Now there’s an issue worth considering. The idea that there could be anyone who could claim membership in the group outside of John, Paul, George, and Ringo likely finds its origins—if only in the media—in the early days of American Beatlemania. As the bandmates made their triumphant inaugural visit to New York City in February 1964, they came into the orbit of top-rated WINS deejay “Murray the K” Kaufman. A friendship developed after manager Brian Epstein invited Murray the K to broadcast his popular nighttime show from the Beatles’ Plaza Hotel suite. Kaufman would later claim that he was christened as the Fifth Beatles by George Harrison during the band’s train ride from New York City to Washington, DC. But astute viewers of the Beatles Anthology will have noticed the deejay anointing himself as the Fifth Beatle during a morning broadcast on the first day of their American visit. Of course, Kaufman’s case for Fifth Beatle-hood was clearly opportunistic, a moment of pure hype from one of radio’s greatest hustlers and self-promoters. A more convincing argument is often made for Brian Epstein, the man who discovered the Beatles in late 1961 and, in spite of a few early setbacks, fast-tracked the band on a pathway to an EMI penny-per-record contract by May 1962. In slightly more than a year, he would architect what would come to be known as Beatlemania after the band’s raucous appearance on the UK’s Val Parnell’s Sunday Night at the Palladium. Similar cases could be made for other folks who acted as central players in the Beatles’ inner circle. Roadies Mal Evans and Neil Aspinall would seem to have solid arguments for Fifth Beatle status. Aspinall eventually played a key role in the band’s post-Beatles lives after he was appointed as the executive director of Apple Corps, while Evans traveled extensively with the band, even helping to sketch out the concept behind Sgt. Pepper’s Lonely Hearts Club Band. Perhaps Fifth Beatle status can only be accrued through performance with the band? Pete Best, the original Beatles drummer who was ousted in favor of Ringo Starr in August 1962, is occasionally bandied about, as is Stu Sutcliffe, the group’s original bassist who died after suffering a brain hemorrhage earlier that year. Even more absurdly, drummer Jimmie Nicol is often given consideration in spite of the fact that he only played a handful of concerts with the band in June 1964 during Starr’s convalescence after a bout with tonsillitis. As far as musicians go, Billy Preston would seem to have the best case, given his sizzling keyboard playing on such classic tracks as “Get Back” and “Don’t Let Me Down.” The group was so impressed with his efforts that they even went so far as to credit the “Get Back” single to “The Beatles with Billy Preston,” making for a unique instance among the studio musicians who were variously associated with the band. 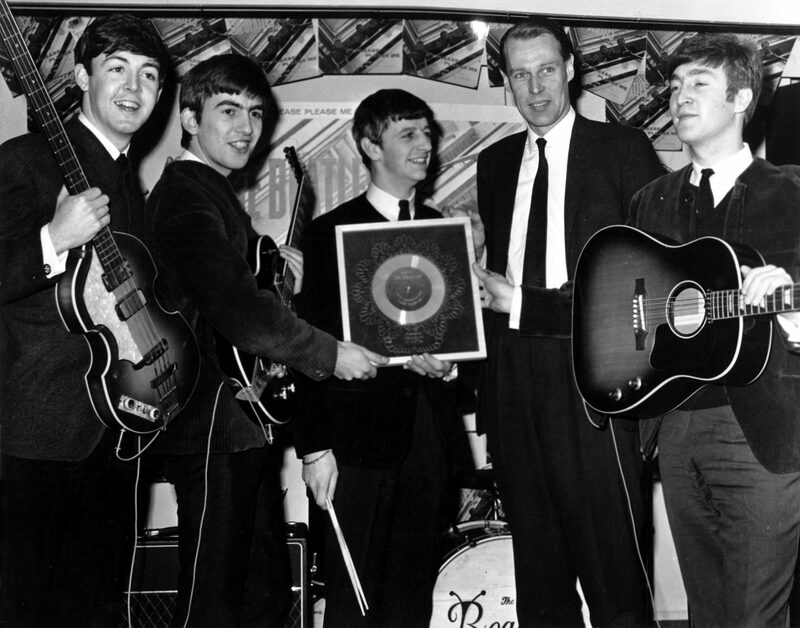 For my money, the only person who could possibly earn the title of being the Fifth Beatle was their acclaimed producer George Martin, who guided them from being a simple Liverpool beat band towards their ascension to the most esteemed heights of twentieth-century popular music. His technical knowhow and background as a classical musician and orchestrator were indispensable ingredients in the band’s development as musicians, songwriters, and recording artists. Without Martin acting as their much-respected mentor and sounding board, it is nearly impossible to imagine the Beatles making the unparalleled creative leap from “Love Me Do” to the artistic zenith that they traversed from Rubber Soul and Revolver to Sgt. Pepper, The White Album, and Abbey Road. As difficult as it may be to fathom for some fans of those four Mop-Tops, there were times where Martin was arguably the Third Beatle behind Lennon and McCartney, while eclipsing Harrison and Starr in terms of sheer importance to the creation of their music. But what did the Beatles themselves think? After the producer’s death at age 90 in March 2016, Paul McCartney movingly referred to him as the Fifth Beatle, warmly recalling Martin’s essential place in their creative fabric. But in all fairness, McCartney had been saying the same thing about Epstein for decades. To his credit Martin would likely have agreed whole-heartedly with Lennon. Modest to a fault, Martin remarked in an interview with Spencer Leigh that “whatever I did shouldn’t be stressed too much. I was merely the bloke who interpreted their ideas. . . . Certainly I taught them all I could in terms of recording techniques and brought an influence of classical music to their work. But the genius was theirs, no doubt about that.” Self-effacing and classy as always, Martin was seemingly happy to stand in the shadows and observe the bandmates’ virtuosity take flight in the studio. Or perhaps Martin’s deferential pose was devised to act as a clever guise. That’s what the real Fifth Beatle would do, right? He’d take great pains to have us all believe that he was simply a sideman—a mere “interpreter” working as he steadfastly did, puppet master-like behind the scenes? The world will likely never truly know. But the folks in Beatledom will likely never stop debating the issue either. Ken Womack is an internationally renowned Beatles authority regarding the band’s enduring artistic influence. 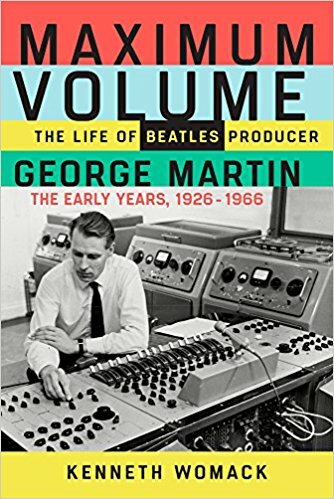 His latest book, Maximum Volume: The Life of Beatles Producer George Martin (The Early Years: 1926-1966), is forthcoming in September 2017. His previous Beatles-related books include Long and Winding Roads: The Evolving Artistry of the Beatles and The Beatles Encyclopedia: Everything Fab Four. You can learn more about Ken’s work at kennethwomack.com.